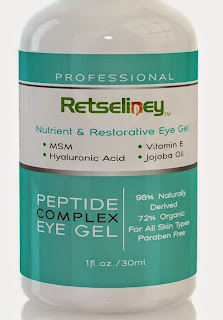 Retseliney Eye Gel helps with puffiness under my eyes. The gel has a very cooling feeling. 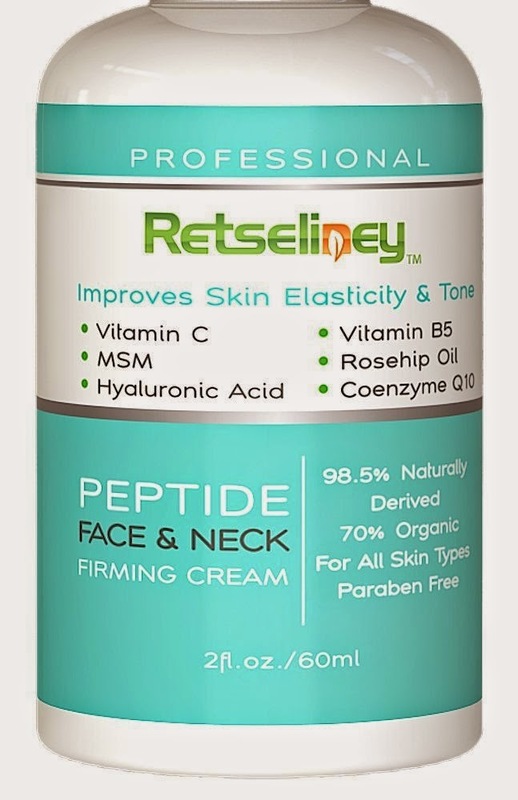 I have tried other Retseliney products and find them to be quality products. 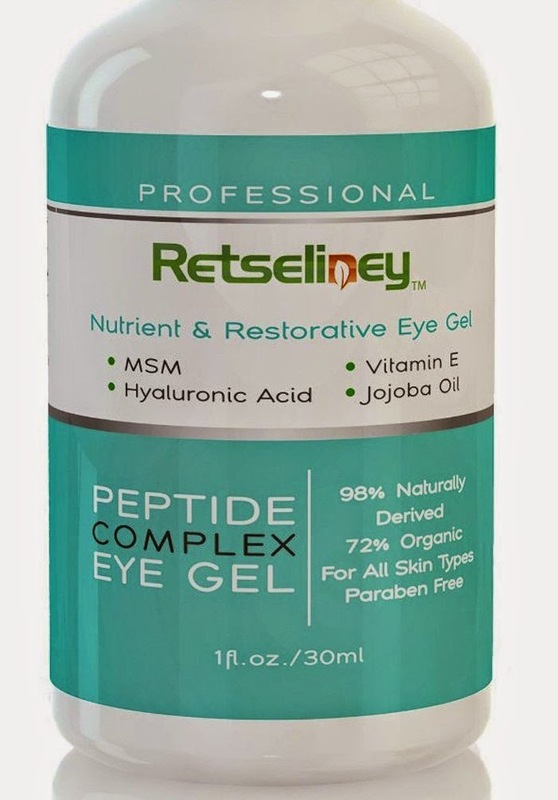 It definitely has helped my eyes have less crows feet. I was getting very bad lines under my eyes and they are starting to diminsh slightly. 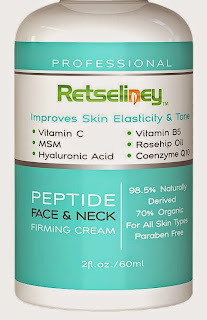 I have been using Retseliney Face and neck cream for the past month. I like the way it feels on my face when I apply it. After it drys I do feel the tightening up. I have not seen drastic results. I believe you have to use this for a longer period of time to start to see good results. I will continue to use it. I love all the natural ingredients. I know what I am putting on my skin and there is no harmful chemicals. All their products are made with Premium Natural and Organic ingredients only, does not contain artificial dyes, parabens, phthalates, fragrances or sulfates, We never test on animals, 4% Vitamin C, 5% Glycolic Acid and Coenzyme Q10 I received this product complimentary in exchange for my unbiased opinion and review. All opinions and words are my own.